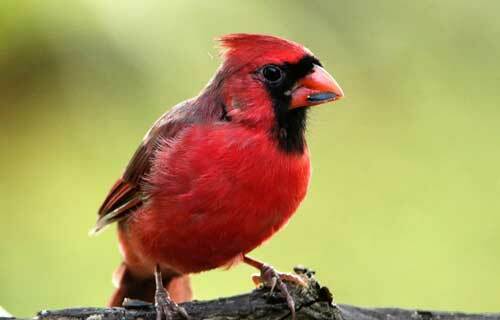 Cardinals are the small sized birds with the red colored body. The most famous species of cardinal is the northern cardinal. 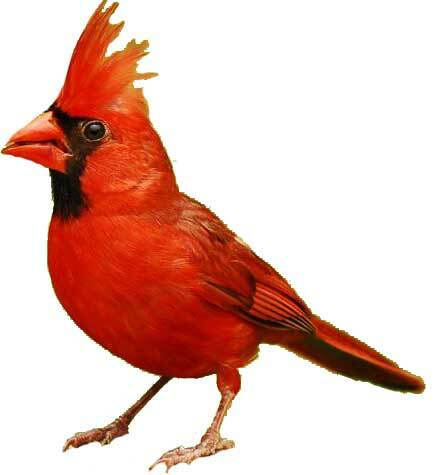 Cardinals are named after the Catholic leader, who wears bright red clothes. Cardinals communicate with each other by singing songs. Also, the males of one nest warn other males by singing a song. Male cardinals are very defensive for their nests; they readily fight with other males. Sometimes they start fighting with their own reflections. Northern cardinals are covered with red colored feathers, but their face is black colored. They have a strong beak and a long tail. They can grow to a height of 9 inches and can weigh as much as 48 grams. They have the wingspan about 30 cm. Cardinals mostly go for searching food during dawn and dusk. They like to eat insects, fruits, and the seeds. They use their strong beak to dig out the insects from the bushes of the trees. 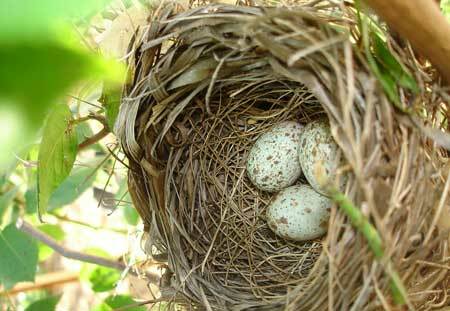 Nest of Northern cardinals with their eggs. Cardinals prefer to live in forests and build their nests in the thick and dense bushes. They usually build nests in the middle of bushes to avoid its predators, e.g. owls, dogs, cats, and snakes. When a predator tries to come closer to their nest, both male and female try to scare it. Cardinals are the common birds of US. The population of cardinals is stable. But human caused activities are harming their habitat e.g. destruction of forests for the need of land. Cardinals have the ability to sing 24 different songs. Both male and female cardinal take care of their babies together. Female and baby cardinal often sing a song to tell the males that they need food. Abdul Wahab, "Cardinal," in Science4Fun, April 13, 2019, http://science4fun.info/cardinal/.